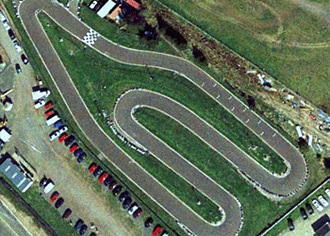 You may have heard of Knockhill through saloon car racing or British Super Bikes but this splendid venue also has a very good go kart track. At 500m long and 9m wide is presents a challenge to the enthusiastic and novice driver alike. A full range of events from juniors up to large corporate groups. The Knockhill Motorsports Centre is just off the A823 north of Dunfermline and is well signposted. An exclusive event for 12 or more drivers - Practice laps, 3 x 5-lap qualifying heats heats, 8-lap semi-finals and a 10-lap final. A 100-lap team endurance event. Qualifying to determine your grid position then a non-stop relay event for teams of 2 drivers.